The Environmental Protection and Sustainability Division of the Maui County Department of Environmental Management announced several changes to current recycling programs that may impact Maui County residents. 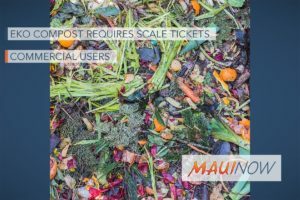 Maui EKO Systems, Inc., along with the support of the Central Maui Landfill will be monitoring green-waste haulers to ensure that incoming “commercial” green-waste is weighed at the landfill scale house with applicable fees charged to the account holder. Maui EKO is currently monitoring incoming vehicles to determine if the customer is residential or commercial. 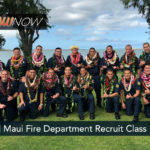 As part of their contract with the County, Maui EKO may designate a vehicle as “commercial” by the following criteria: Vehicle has commercial license plates, advertising or signage, or the hauler is determined to be commercial by frequency of use and/or the type of materials they bring in. EKO will monitor facility users and suspected “commercial” users will be investigated. Investigation will include a review of the data collected including license plates, materials delivered, frequency of visits and inspection of the source address to determine if that vehicle is a commercial vehicle. Users determined to be “commercial” will be required to set up an account and weigh all incoming loads at the scale house. 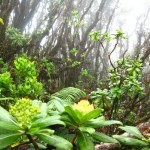 Maui EKO may deny entry to any customer who does not follow the rules. Propane tank. Debra Lordan photo. In addition, beginning Jan. 1, 2018, the Kahului Airgas Store will no longer accept used propane tanks for recycling. The County is researching local alternatives for propane tank recycling. 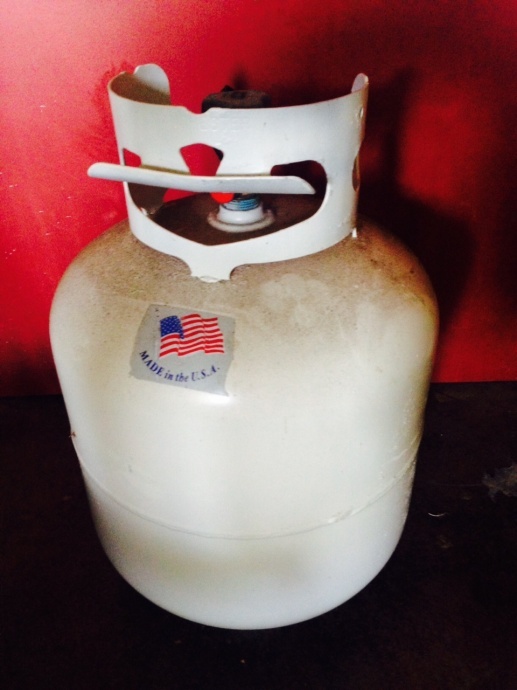 Hammerhead Metals accepts propane tanks with valves removed for recycling, contact them for fees and policies at 280-8844. Propane tanks are accepted for recycling as part of the County Household Hazardous Waste Collection Events that occurs annually. At this time, the next HHW Collection event date has not been determined. The last HHW Collection event was held in October 2017. You may have been hearing new terms like China’s Green Fence and The National Sword and wondered what they are and how they impact our community. 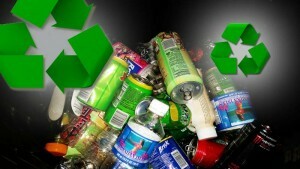 These are new policies that are being implemented by China and will impact the exports of recyclable materials worldwide. Most of the plastics, paper and cardboard from Hawaiʻi and the mainland USA are shipped to markets in China and now that there is less material being accepted, Hawaiʻi’s recyclers are now unable to recycle some of the materials they could before. China enacted The Green Fence policy to address contamination levels and The National Sword initiative was enacted to set standards on the types, quantity and quality of materials that are allowed to be shipped into the country. These policies set limits on the imports of certain types of plastics, paper and other recyclables and are intended to limit contamination, to improve the quality of the materials received and to ultimately protect their environment. What this means to us is beginning Jan. 1, 2018, residents will no longer be able to recycle office paper, junk mail, magazines and phone books at the four County redemption centers in Kīhei, Makawao, Haʻikū and in Kahului (nor at Aloha Recycling). The way we recycle plastics in our dropbox program is changing too. Starting Jan 1, we will only be able to recycle plastics that are labeled # 1 and # 2 and only those with necks that have been rinsed entirely clean. All the other #1 and #2’s will have to be discarded since those materials are now considered contamination. Some examples of typical items that can no longer be recycled on Maui include: snap closed tubs that hold spinach, berries, apples and essentially any plastics # 1 & # 2 that do not contain a neck. In addition, these policies set regulations on the contamination levels of imported recyclables and have set the current standard at a 1.5% contamination limit. This means that all recyclable materials must to be cleaned of food, soap and oily residue. If containers are not rinsed clean, they will just be discarded. For more information about recycling visit the Maui County Recycling website or call the Maui County Recycling Hotline at (808) 270-7880.